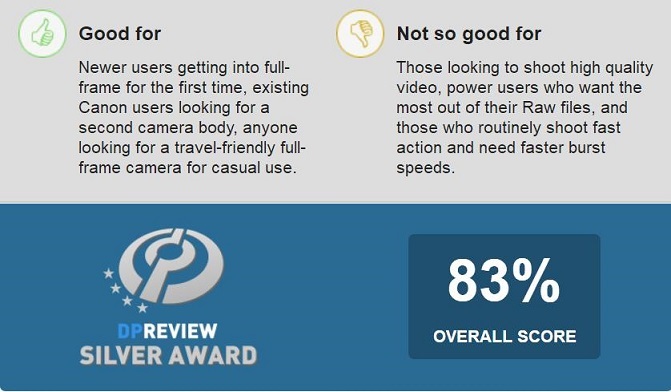 DPReview completed their Canon EOS RP full frame mirrorless camera review and test results: The new Canon EOS RP camera gets an impressive 83% overall score and Silver Award from the experts at DPReview. 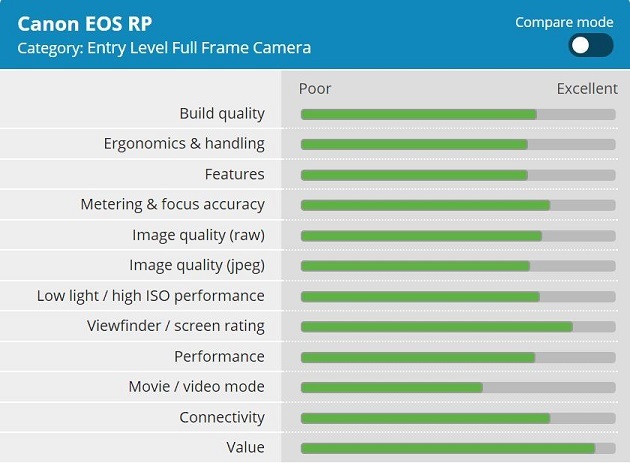 The Canon EOS RP‘s specifications aren’t exactly exciting, but don’t let that fool you – it’s a likable little camera with engaging controls, good build quality and it produces excellent JPEGs. Of course, the Raw files are noisier and aren’t as malleable as some more contemporary full-frame cameras, but for the target audience, that won’t likely be a deal breaker. For those users looking for a friendly way to get into full-frame imaging, the EOS RP is an excellent option. 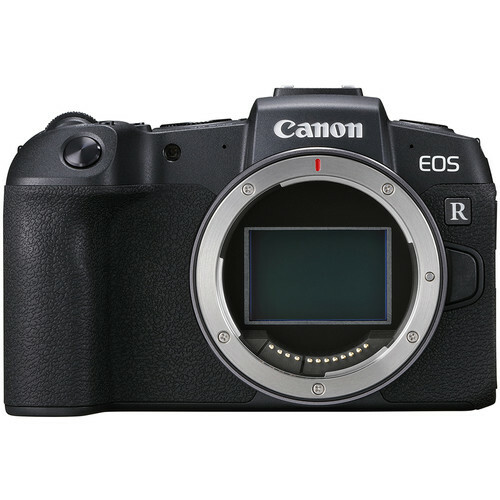 The Canon EOS RP is now in stock at major US stores: $1,299 at Amazon, B&H, Adorama.